As a pre-teen I had two passions: Nancy Drew mysteries and Pralines ’n Cream ice cream. So it's no wonder I grew up to write a series called The Fat City Mysteries. 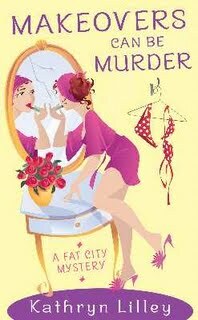 My mystery stories are set in Durham, North Carolina, the self-proclaimed “Diet Capital of the World.” And like my journalist sleuth, Kate Gallagher, I understand the Battle of the Bulge all too well. I once had to lose 90 pounds to land a job on camera as a TV reporter. And even today I avoid the street that goes past 31 Flavors. Why tempt sugary fate?